Cola did not pursue a show career, but remained a loving pet and part of the pack until March 2011 when we were approached by Christine and Chris Reaston. 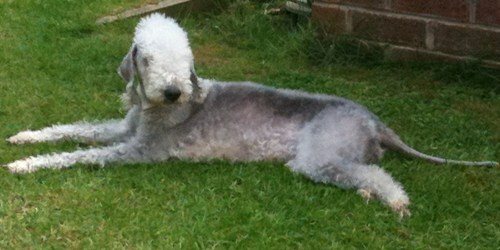 They were looking to acquire a Bedlington as a pet. 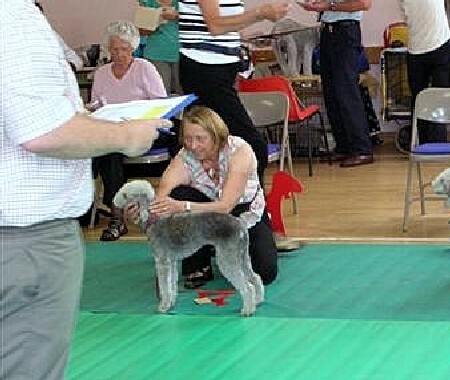 Both are CC judges (Chris judged Crufts in 2010), and had previously owned and showed several Bedlingtons. 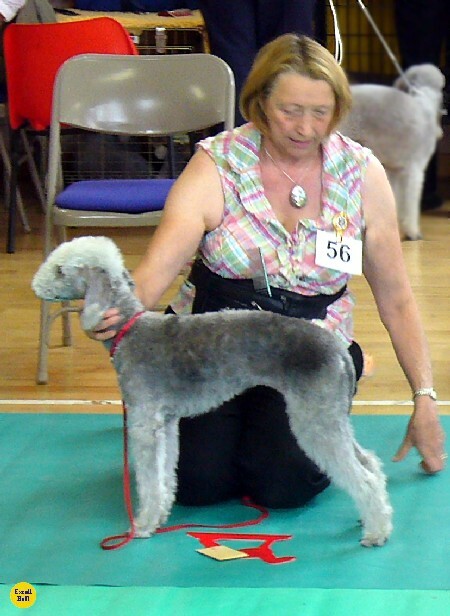 When they lost their last Bedlington, they were left with a fox terrier. Christine in particular was keen to have another Bedlington and although we were sad to see her go we were happy to agree to rehome Cola, knowing that she would be going to a loving and knowledgeable home, where she would get more individual attention than we were able to give her.